Silicon-disilicide eutectic alloys have recently been evaluated as potential structural materials with improved combinations of hardness, toughness and wear resistance as compared to either of their constituent phases. Here, compression tests were carried out on Si, Si–7V, Si–20Cr and Si–13.9Cr–3.4V (in wt%) alloys, wherein Si–7V, Si–20Cr and Si–13.9Cr–3.4V exhibited silicon-disilicide eutectic structures. 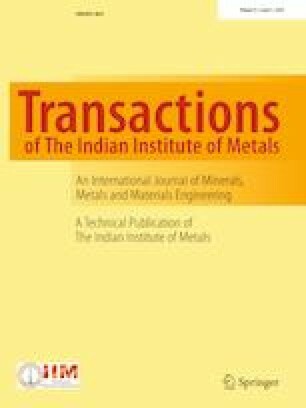 Strength variability was ascertained via a Weibull analysis, with the ternary alloy Si–13.9Cr–3.4V yielding a Weibull modulus value of 15.2 as compared to 4.6 for Si. Scanning electron microscopy studies provided some insight on the fracture strength and Weibull modulus of these materials. The author is grateful to Prof. Christopher Schuh at MIT for his encouragement and guidance during the course of this work.